In an interview with Al-Marjie website, Dr. Zulkifli Mohamad Al-Bakri, Mufti of the Federal Territories of Malaysia, spoke about the importance of Al-Azhar role in fighting terrorist organizations likes Daesh and al-Qaeda through spreading moderate Islam. He also spoke about the role played by Dar al-Ifta - the religious institution tasked with drafting edicts - in confronting extremist ideas. He also added that it is important to have joint cooperation between the Egyptian Dar al-Ifta and its Malaysian counterpart. 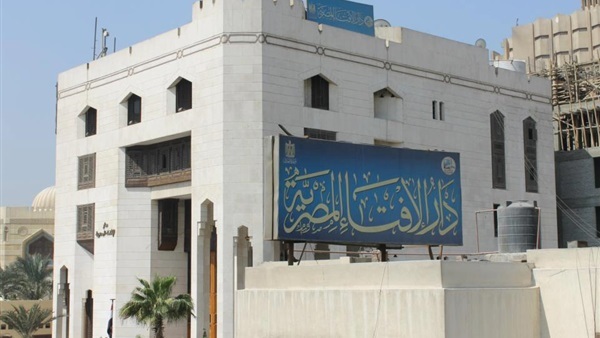 What is the importance of the international conference on fatwa renewal (A three-day conference started in Cairo on October 16 and organized by the General Secretariat for Fatwa Authorities Worldwide)? The conference is important at this time because extremist groups exploit religion, in order to implement their plans in the Islamic countries and threaten the lives of innocent people. The conference sends a message to the world and all Muslims stressing the importance of renewing fatwas to serve Islam and Muslims. It also affirms that Islam is a religion of mercy and peace, not murder and shedding blood. What is the importance of the conference in strengthening cooperation between Dar al-Ifta institutions in Islamic countries? The conference is an important step to coordinate between all the muftis in the Islamic world, as well as renewing the relationship and documenting it among the role of Dar al-Ifta institutions in Islamic countries. This leads us to coordinate the fatwas and make great use of them. What about Fatwas in Malaysia? Dar al-Ifta in Malaysia is the body specialized in fatwas. It is not permissible for anyone to give fatwas in Malaysia, according to the law. This means anyone gives fatwa outside the Dar al-Ifta can be subjected to legal penalties. What are the efforts done by the Malaysian Dar al-Ifta to confront extremist groups? We have issued many fatwas to prevent Malaysians from joining terrorist groups such as Deash and al-Qaeda. Dar el-Ifta is working continuously to protect the Malaysian people by following the approach of Al-Azhar in adopting moderate Islam. How do you see the danger of "Daesh and Al-Qaeda" organizations? Al-Qaeda, Daesh and radical groups are very dangerous. They aims at fragmenting Islamic countries, spreading extremism and igniting war. Therefore, we emphasize the importance of refuting radical ideas and Takfiri ideology; to confront these groups and eliminate terrorism. Does the conference on fatwa renewal contribute in countering extremism? Conferences like this are of great importance in supporting the role of fatwas and scholars worldwide and help them exchange experiences and fatwa methods to confront the danger of extremist ideas. Is there coordination between the Malaysian and Egyptian Ifta? Of course, there is great coordination between the Malaysian Dar al-Ifta and its Egyptian counterpart, and our participation at the international conferences organised by the Egyptian Dar al-Ifta confirms this. How do Malaysians see Al-Azhar? Al-Azhar has a great place in the hearts of the Malaysian people. Malaysians are Sunnis, and they adopt the approach of Al-Azhar and Al-Ash'ari doctrine (theological school of Sunni Islam) in education and life. There are thousands of Malaysians who have learned and been educated within Al-Azhar University. The Malaysians and the government trust that Al-Azhar is providing the correct understanding of Islam. It is the most important mosque and university that has provided a lot to Muslims in the Islamic world.